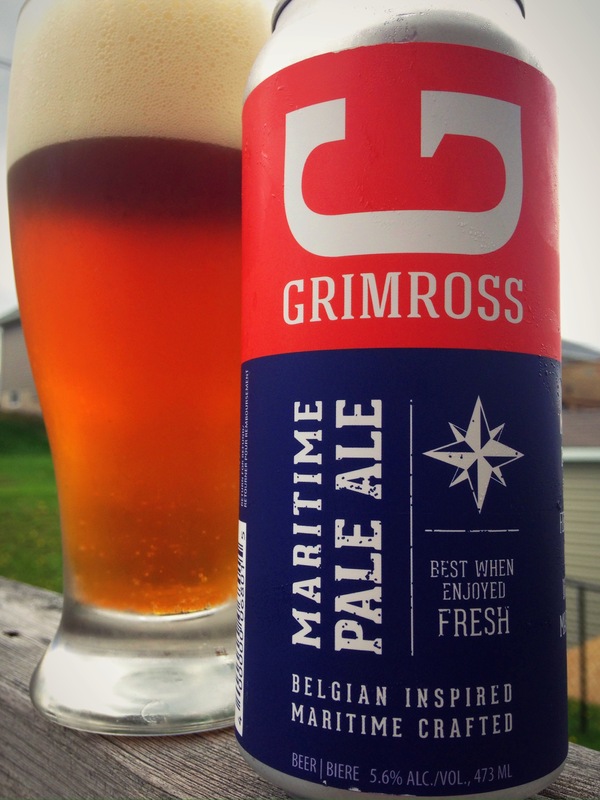 Grimross Brewing is a small brewery located in Fresricton, NB. Opening July 1st, 2013 by Stephen and Dawn Dixon, they have a growing reputation for great beers and expanding operations. Maritime Pale Ale is their first offering in cans or bottles. Appearance: Deep golden colour with an off-white fluffy head that is long lasting. Nice lacing on the glass. Aroma: Big hop nose of citrus, with a slight pine note and a hint of earthiness. A little malt aroma and a sweet finish. Taste: Hops – pine and citrus, little floral. Long lasting, late bitterness on the palette. A little malt comes through, a bit more as it warms. Mouthfeel: Light-medium body with a medium carbonation that so quite appropriate. Creamy texture, but cut with hop oil. Overall: Very nice. Balanced (little malt, but nice range in the hop flavours). This is one I will be going back to and recommending. I can’t wait to see more offerings on the shelves from Grimross. Grimross can be found on the web, Facebook, and Twitter. The Pump House Brewery and Restaurant, located in Moncton, NB, opened its doors in September of 1999. This small brewpub has grown to producing many fine ales and lagers and they’ve brought home a fair number of awards over the years including “Brewery of the Year” from the Canadian Brewery Awards. Offering many year-round, local favourites and a quickly growing number of seasonal and one-off brews, this small brewery is sure to have a beer for anyone to enjoy. 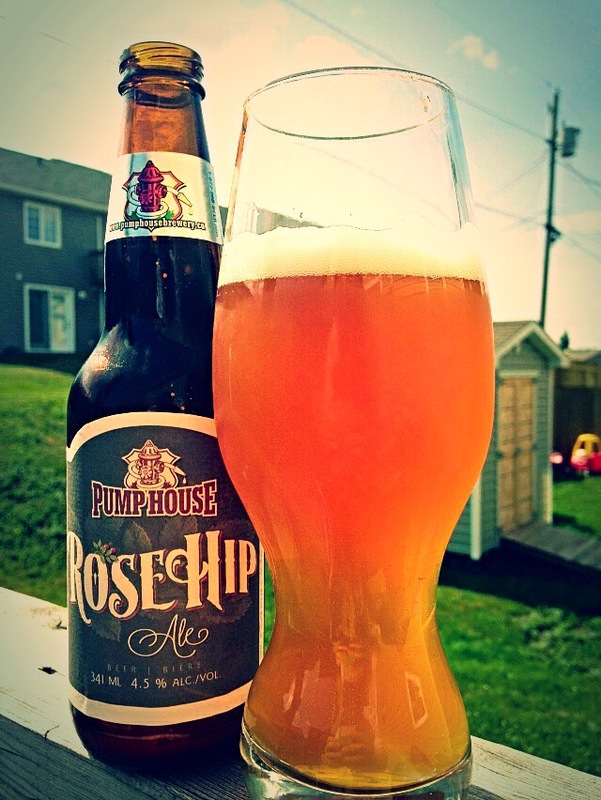 The Pump House released their Rose Hip Ale just this summer and already people are talking about this refreshing ale brewed with rose hips. Appearance: This ale pours with a lively carbonation producing a white head made of tiny, champagne-like bubbles. The colour is a golden, almost burnt orange and is fairly cloudy. Aroma: Sweet bready aroma upfront with a light fruitiness – almost melon. It’s quite like a saison in aroma with the wheat coming through. Taste: The flavour of the wheat shines with some spicy notes and fruitiness of under ripe apple and sweet melon. There are some slight floral hints as well. 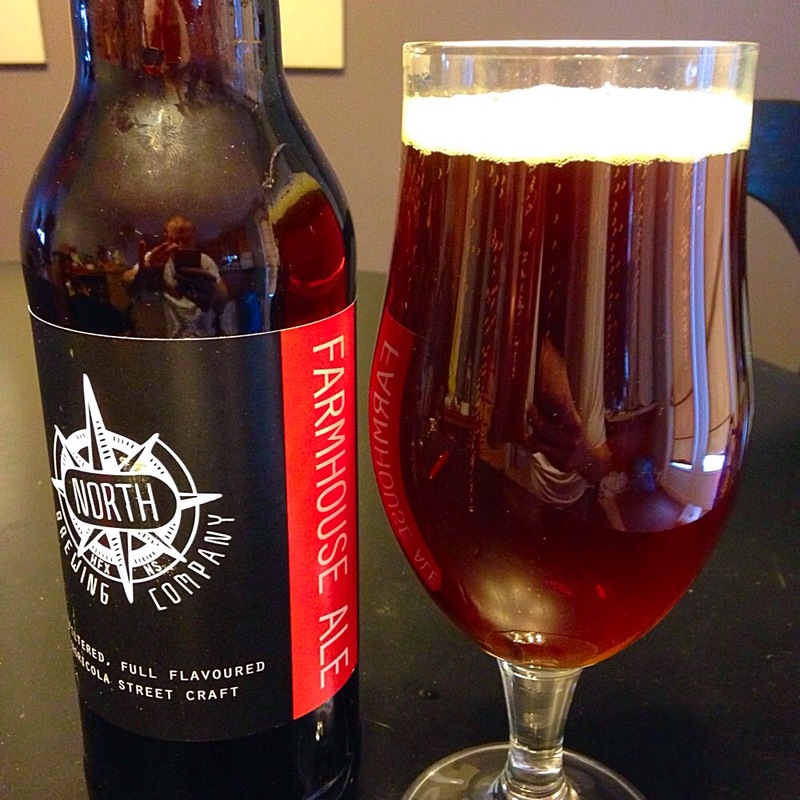 Mouthfeel: The body is fairly light accented with the slightly elevated carbonation. There is a slight prickliness on the tip of the tongue, otherwise quite enjoyable. Overall: This is a nice beer. It’s not heavy in any aspect and very easy to drink. Great beer on a hot day. A great lawnmower beer. It changes slightly as it warms, but it probably won’t stay in your glass long enough to notice. You can find the Pump House on the web, Facebook, and Twitter.